Curriculum Vitae (CV) or Resume is the professional document that you present to employer to describe your skills, experiences, qualities, and personality. Curriculum Vitae (CV) or Resume is your self-marketing tool. It demonstrates to the employer what you are, whether you fit as a potential employee or not. Today, in this post we’ll let you know how to prepare effective Curriculum Vitae. 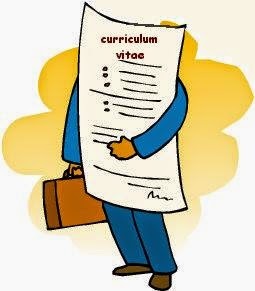 What steps to be followed in preparing Curriculum Vitae? What are the ideal qualities of good Curriculum Vitae? Also, at the end of the post you’ll find some Sample Curriculum Vitae. There is no strict format for preparing CV. You’ll find different formats of CV in different books or references. Likewise, each employer will have their own ideas as to the type of CV they prefer to read. Following are the guidelines to assist you in the preparation of your CV. To prepare a CV, you’ll need written information about yourself available to draw from. For this you have to do a self-evaluation. Write down all your experiences related to education, work, community, and leisure. Write down the skills you have developed or enhanced and any achievements associated with each experience. After brainstorming you have to determine your market audience, the person who will read your CV. For this you have to identify the requirements of your prospective employer, and the type of position, industry, and company. All the information collected in brainstorming will not be used in every CV. You have to highlight experiences and skills that are particularly relevant to the position you are applying for. Headings in your CV are essential, as they make your CV easier for employer to find the information they require. As every person is unique with different life experiences, CVs can also differ tremendously in both their content and headings. The information you have wrote down while brainstorming exercise is used here. You have to put the selected and required information under following sections or headings. The essential personal details which should be included here are – Name, Contact details like phone number, email, and address, Citizenship, and residency or work Visa status. Other personal details you can include here are – date of birth, gender, marital status, and nationality. This section can be useful if you are clear in your mind what type of position you are looking for. This section should not be too specific or too general, otherwise it may limit your opportunities or it may give the impression of not knowing what actually you want to do. In this section you have to describe your employment goals, reasons for applying for the position, industry you want to work in, etc. In this section you have to provide information like – educational institutions you have attended, year of attendance, and degrees, diplomas, certificates you have gained. Start with your most recent and highest qualification. If you are a recent graduate without much work experience, in that case education section in your curriculum vitae will be your most marketable asset. In this section you have to provide different positions you worked at. For each position, provide the position title, dates of employment, name and location of the employer. Also describe duties, responsibilities, and achievements. Here also, you have to start with your most recent position. You must know your strengths and weaknesses. Your skills and abilities are your strengths. You can use your skills and abilities in any environment, industry, profession, or occupation. Certain skills are referred as transferable skills. You must add this section in your CV. This section can be an important part of your CV. This section gives you the chance to highlight your transferable skills. In this section, list additional information about yourself; like – sporting, social, and cultural interests. This type of information gives the idea of your personality, and indicates how you fit in the organisation and work group. Details of referees are required in CV because employer may contact them to know their knowledge and experience of you. You must have permission of each referee to be listed on your CV. Note: All information in this CV is fictional and only intended to provide you with brief examples of possible layout and content.